Five Things to Tell Yourself Before Starting The Casual Vacancy1. It is not Harry Potter.2. It is not Harry Potter.3. It is not Harry Potter.4. It is quite excellent.5. It is not Harry Potter.The Casual Vacancy is all about the characters. Such wonderful, devastating characters. There are probably 20 plus important characters in the novel and the remarkable thing? It is not only names that differentiate them; each person is distinct. Few authors can properly characterize a cast of three, and J.K. Rowling just characterized every inhabitant in the entire town of Pagford. The characters are all dissimilar and distinguished by various motivations, histories, and personalities. And yet, they’re all tragically alike—consumed by the same anxieties and searching for same validation. The characters are so believably human that you can’t easily lionize and sympathize with them but you unquestionably do since they are so real. Do you root for them all or do you pity them all?It’s an ambiguous narrative. In fact, JKR’s style reminded me of Balzac’s trademark style: realistic with characters that are neither good nor evil but simply human. Obviously, that’s a large departure from the Harry Potter series where the fight between good and evil, Harry and Voldemort, is established from page one. But this Balzacien style suits her. It’s almost as if JKR goes, “So here is this town, there is a death, here are the citizens, let us watch what happens.” Her detached narrator merely notes the happenings of these peoples’ lives for the sake of public record. Despite the extreme realism, the story still progresses in shocking ways. I had to stop reading occasionally—especially in the final 100 pages or so where the tightening and intertwining strings that connect the citizens of Pagford snap—because I was so surprised by what just happened. 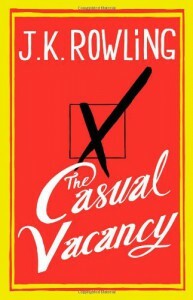 Most people who disliked the book complain about the lack of plot, but trust me, there is a plot here; it’s just more subtle than defeating a Dark Lord.The Casual Vacancy was unfairly panned upon its release. Yes, it’s nothing like Harry Potter but that’s why it’s fantastic. 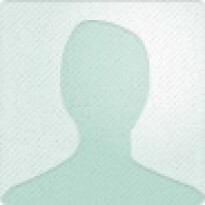 It’s about how we see people and we think we know them but we don’t. It’s about how people see us and think they know us and they don’t. As much as we love Harry, we all know how escapist his story was, right? The true horrors reside here, in our world.